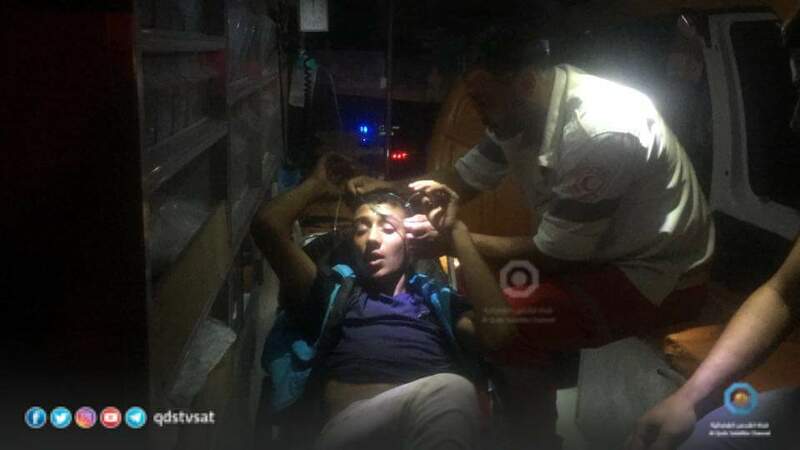 At least 18 youths were injured Saturday evening when the Israeli occupation forces (IOF) opened fire at the Palestinians protesting along the border fence east of Gaza. The PIC reporter said that the IOF attacked Palestinian protesters with live ammunition injuring 15 of them east of Jabalia refugee camp, north of Gaza. In a related development, an Israeli drone fired at least one missile at a group of Palestinian youths north of Gaza with no injuries reported. Earlier in the day, a Palestinian youth was shot and injured east of al-Bureij camp, a local source reported. These night protests are part of the Great March of Return which was launched on 30th March. Gaza border protests mainly call for breaking the siege and allowing Palestinian refugees to return to their lands from which they were expelled in 1948. Dozens of Palestinians were injured on Friday afternoon when the Israeli occupation forces (IOF) violently quelled peaceful demonstrations in different West Bank areas. At least 12 Palestinians, including a journalist, were injured by rubber-coated metal bullets, while dozens others suffered teargas inhalation when the IOF attacked a demonstration in Ras Karkar village, west of Ramallah. Local sources said that Palestinians have organized peaceful demonstrations over the past three weeks in Ras Karkar in protest at Israel's confiscation of Palestinian-owned lands in the village in favor of settlement projects. 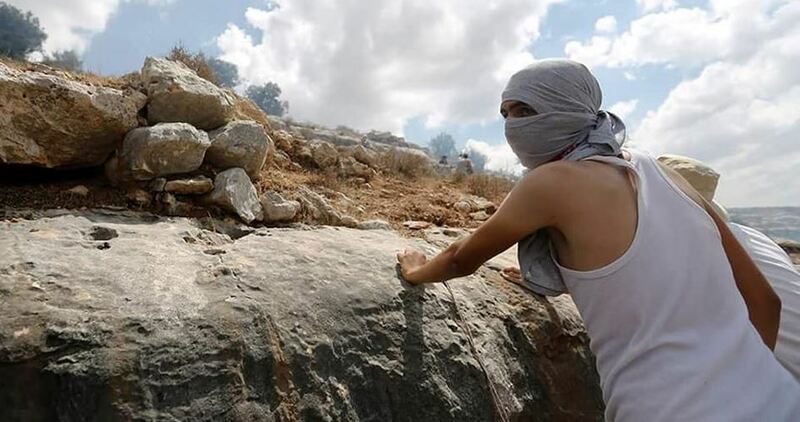 Two Palestinian youths were injured by rubber-coated metal bullets and others choked on teargas when the IOF quelled the weekly demonstration of Kafr Qaddum, east of Qalqilya, which calls for opening the village's main road that was closed 15 years ago. Popular resistance coordinator Murad Shtewi said that the IOF attacked the protesters with live ammunition, rubber-coated metal bullets, sound bombs, and teargas canisters, while Palestinian youths responded by throwing stones and empty bottles. Meanwhile in Ramallah, a number of Palestinian citizens suffered breathing difficulties as a result of inhaling teargas during the IOF quelling of Bil'in's weekly demonstration against settlement. Local sources said that the IOF heavily fired teargas canisters at the demonstrators, burning some dunums of Palestinian lands planted with olive trees. At least three Palestinians sustained injuries at nightfall Sunday after they were hit with Israeli bullet fire east of Khan Younis and Rafah, to the south of Gaza Strip. A PIC news correspondent said Israeli patrols opened fire at a group of Palestinians maintaining peaceful vigil in al-Awda refugee camp near the border fence, injuring two of them. A third was also injured in a similar attack east of Rafah. The injured persons, including a journalist, were evacuated to the Abu Youssef al-Najjar Hospital for treatment. Meanwhile, an Israeli drone targeted a motorcycle east of Al-Boreij. No initial casualties were reported during the incident. T he Great March of Return was launched on 30th March in five camps installed along Gaza's border with the 1948 occupied Palestinian territories. The march mainly calls for lifting the 12-year-long blockade on Gaza, and for allowing Palestinian refugees to return to their lands from which they were expelled in 1948 as stipulated by UN resolutions, particularly Resolution 194 which provides for return or compensation. Since Gaza border protests started, 184 Palestinians have been killed, 27 of whom are children, and over 19,000 injured by the Israeli army. 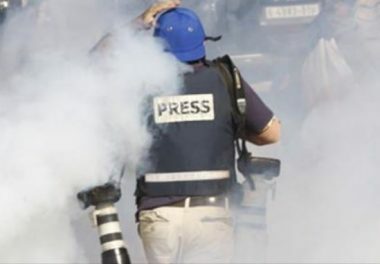 Israeli soldiers shot, on Friday, a Palestinian journalist, and caused many residents to suffer the effects of teargas inhalation, in Kufur Qaddoum, east of Qalqilia, in northern West Bank. Media sources in Kufur Qaddoum said the soldiers resorted to the excessive use of force against the weekly nonviolent procession, and fired many rubber-coated steel bullets and gas bombs at the protesters, and many journalists. They added that the soldiers shot Nidal Eshteyya, a cameraman working for the Chinese News Agency, with a rubber-coated steel bullet in his chest, and caused scores to suffer the effects of teargas inhalation. One of the Israeli rubber-coated steel bullets also struck and broke a camera held by a journalist working for the Palestinian TV. These week’s procession also comes in solidarity with the al-Khan al-Ahmar Palestinian village, near Jerusalem, facing demolition and displacement by the Israeli forces. The Israeli Authorities released, on Wednesday evening, Palestinian journalist Ali Dar Ali, after holding him captive in Ofer prison, built on Palestinian lands in Betunia, near Ramallah in central West Bank. The journalist was held without charges for 40 consecutive days, and was ordered to pay a 2500 Shekels fine. Ali was taken prisoner from his home in Burham village, north of Ramallah, after dozens of soldiers invaded the village, and stormed his property at dawn. Two journalists were shot and injured on Tuesday by rubber-coated bullets unleashed by the Israeli army during clashes rocking Ras Karkar village, west of Ramallah. The Palestinian Health Ministry said injured journalists Issam al-Rimawi and Abbas al-Momani were admitted at the Palestine Medical Complex. 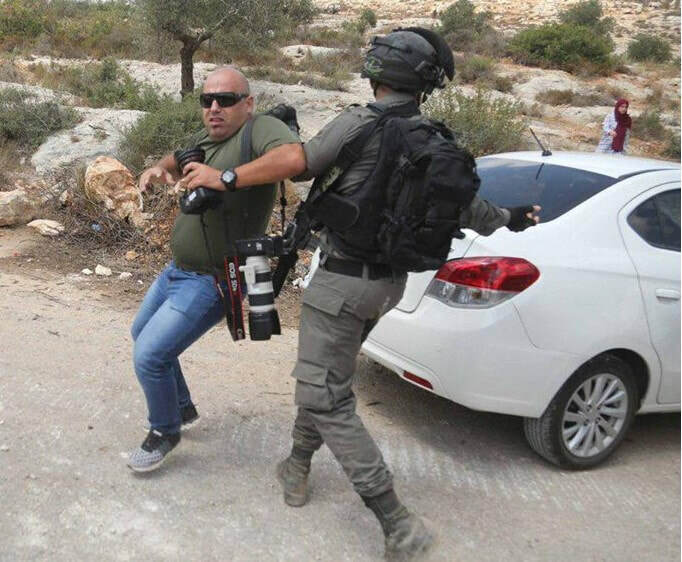 Palestinian journalists have been frequently targeted by the Israeli military while covering attacks by the latter on anti-occupation protesters. 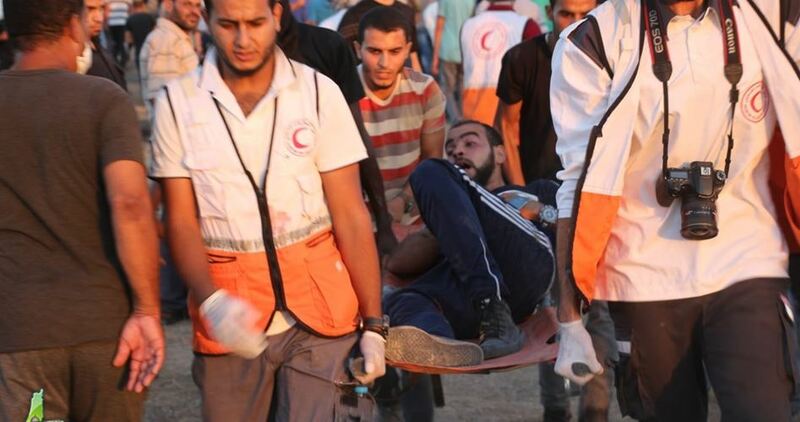 According to the Ministry of Health, the number of participants wounded with live bullets, in Gaza’s Great March of Return, including a paramedic who was shot in the chest, to the east of Rafah, in the southern Gaza Strip, reached 180. 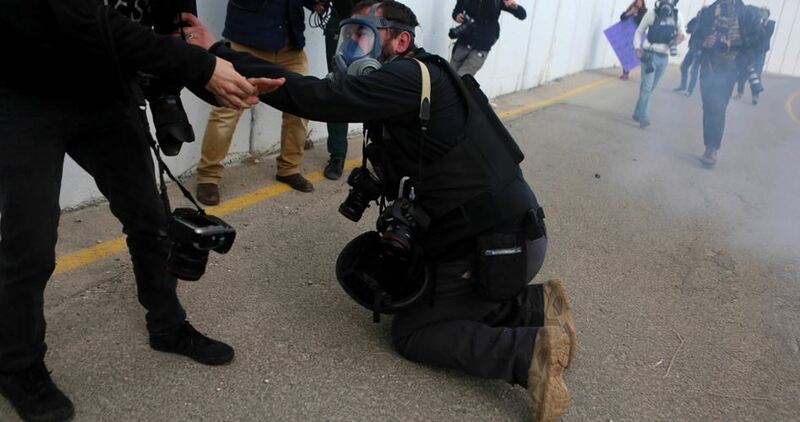 According to medical sources, Mohammed Abu Sultan a cameraman was shot in the foot during his coverage of confrontations in Eastern Rafah, south of the Gaza Strip; journalist Mohammed Zo’rob inhaled gas East of Khan Yunis. Israeli soldiers abducted, on Tuesday at dawn, four Palestinian in Jenin and Bethlehem, in the occupied West Bank. Israel’s Ofer military court on Monday ruled that the Palestinian journalist Alaa al-Rimawi be released on tough conditions. The Palestinian Prisoner’s Society said in a statement that Ofer court issued a verdict ruling that Rimawi pay a bail of 10,000 shekels, be confined to his house, and suspend his job for two months. Sometime earlier, the Israeli court ruled for releasing Rimawi on a bail, before it backtracked on the verdict and issued other preconditions for the release of the journalist. 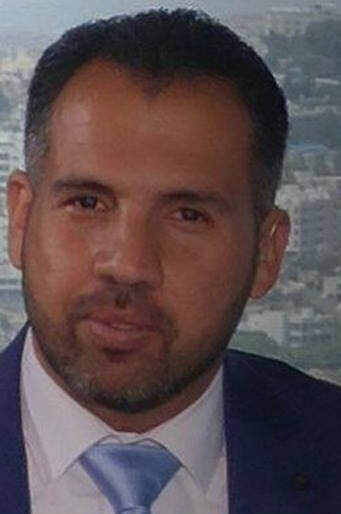 Rimawi was arrested on July 30, 2018, along with three other journalists. Israel's Ofer military court on Monday decided to delay the trial of the Palestinian journalist Ali Dar Ali,34, until 4th September. This is the second time that the Israeli occupation authorities have extended Dar Ali's detention after he was kidnapped from his home last Wednesday. 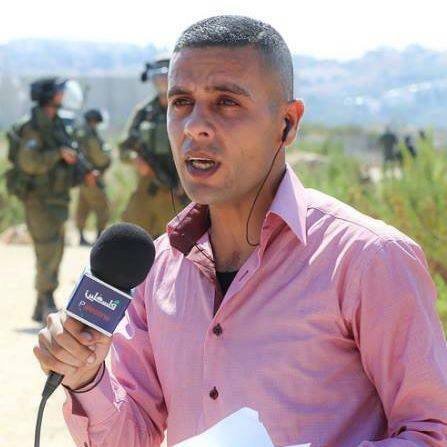 The Israeli occupation forces at dawn Wednesday arrested Dar Ali, who works as a correspondent for Palestine TV channel, from his house in Burham village, northwest of Ramallah, over "incitement" on social media networks. 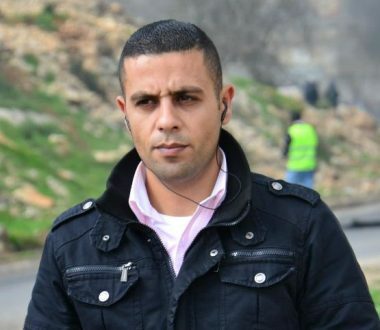 In another context, Ofer court on Sunday decided to renew the detention of the director of al-Quds TV channel in the West Bank, Alaa al-Rimawi, after the Israeli Intelligence Service objected to a court ruling to release him on bail. There are over 20 Palestinian journalists languishing in Israeli lock-ups, some of whom are sentenced to years in jail while others are held without charge or trial.